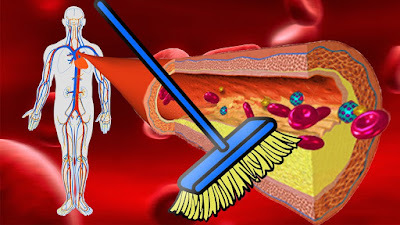 Clogged arteries due to the accumulation of fat and cholesterol can lead to cardio-vascular diseases. This can be essentially detrimental to the health of people, leading to many deaths. Taking precautions in order to prevent the cropping up of diseases is necessary. It is even more useful if the dietary changes are made accordingly to reduce the growing health issue. Cardiovascular diseases amount for up to 7 lakh deaths in America per year. Taking care to prevent heart attacks and strokes becomes the immediate issue to look after, especially after it has been increasing at an alarming rate and has victimized people from various age groups. Heart diseases are caused due to increased risks of stress and depression, smoking and alcohol consumption, and consumption of food which has high amount of cholesterols, especially junk food! These can result in accumulation of fat in the blood vessels or thickening of the blood that restricts proper blood flow. A slower rate of blood flow creates a pressure on the heart, forcing it to pump blood even faster. Some readily identifiable symptoms are of frequent chest pains, sore throat, muscle pain, and numb feet and hands. The regular flow of blood can face major setbacks due to clogged arteries. The extra pressure created on our heart to push blood through clogged arteries, other than the natural way of pumping blood, causes the muscles to work rapidly, leading to stress and an increase in chances of cardiac arrests. Atherosclerosis is a disease in which plaque or extra fat gets accumulated in and on the artery walls due to consumption of junk food. Gradually, the plaque hardens up, leading to narrowing down of the artery and restricting the space for flowing of blood. At times, stress and excessive smoking can also cause the same. Accumulation of plaque is a sign of a bad and unhealthy diet and not of other heart diseases. It gets worse when plaque enters the blood, causing serious problems of blood clot. The one way in which plaque accumulation can be prevented is by having a proper diet and avoiding food that is unhealthy. Food that cannot be digested easily, including sugar that might cause inflammation of arteries. Avoid consuming processed and fast food. Having a proper diet is the basic cure to all possible diseases. Trying to include some of these edible stuff in your daily diet is the mantra to secure a healthy life and increased longevity. 1. Fruits are the best things to have at any point of time in the day. Fruits are a source of necessary fibers, minerals, and vitamins that the body needs for its development. Fruits also maintain necessary anti-oxidants that purifies blood and keeps the body hydrated. 2. Black beans are a good way of reducing fat and cholesterol. 3. Mackerels provide with omega-3 fats which are necessary for reducing increased blood pressure and heart diseases. It also provides the body with vitamin D.
4. Leafy vegetables are important for blood purification and good eyesight, especially spinach. It is the necessary fibers and vitamins that are nutritious for the body. 5. Linseeds or flax seeds are a good source of vitamin E, omega 3 fats. 6. Nuts are the key to a sharper brain and have essential fats for the body which lowers the risk of heart attacks. 7. Avocados are a rare fruit that maintains proper blood pressure and low fat cholesterol. 8. Sunflower seeds are rich in vitamin E and protect the body against heart diseases. 9. Green tea is known for its detoxing abilities. It is used to reduce body fat due to its low cholesterol level. 10. Lentils are a must for every diet as it has the necessary protein for the body. 11. Capsicums are natural veggies, known for their beneficial attribute of reducing the chances of increased inflammation and cholesterol. 12. Garlic is used to reduce blood pressure that causes pressure on the blood vessels. So, please take care of yourself by following this kind of diet and spread the word.